Simferopol is the capital of the Autonomous Republic of Crimea, its administrative, scientific and cultural center. The city is called the "Gateway to the Crimea", where converge roads that lead to all corners of the picturesque Crimean land. The city is located in a river valley in the foothills of Salgir Crimea. This area for centuries attracted people's attention to its favorable geographical position and, of course, favorable natural conditions. Even before the founding of Simferopol there lived tribes of the Scythians, who built on the site of the modern city its capital - Scythian Neapolis. In the 3rd century BC Goths destroyed the city tribes, and for a long time no one lived here. Later, during the Crimean Khanate here was a small settlement of Ak-Mosque. After the Russian-Turkish war of Simferopol began to actively build and expand, there have been numerous mansions and estates of the Russian nobility. Official date of the city is 8 February 1874. That same day, Catherine II issued a decree on the construction of an administrative center of the Crimean peninsula - Simferopol. This city and its surroundings have an amazing combination of natural and historical attractions. There are about 200 monuments of culture, architecture, history and urban development. The architecture of the present Scythian Simferopol, Ukrainian and Tatar motives which could not be better reveal the history of the city "at the crossroads of all roads". Many tourists pass by this city as a transit to travel to other towns on the coast. However, if you stay here, be able to see what the city proud and pleased not only locals, but also for their guests. Familiarity with the southern city is best to start from the railway station. From here you can get on the Cote d'Azur in southern Crimea, Feodosia, Sevastopol, Kerch and Evpatoria. Snowy railway station building is an architectural landmark of Simferopol. Water Tower, which is now installed chimes, connected to two parts of the railway station with the help of arcades and galleries, creating a cozy patio. The building was built in the Italian style. Ancient architecture art lovers should visit the main mosque times Crimean Khanate - Kebir-Jami. Until today, she is an active Muslim temple. Inside the mosque is decorated with unique Arabian ornaments and paintings, and decorated in a traditional style Muslim places of worship. The mosque is located in the street Kurchatov 4. To it you can get directly from the train station by taxi number 112. From Kebir-Jami on bus number 17 takes you to the archaeological site of world importance - Scythian Naples. It is an ancient city, whose territory was created this historical and archeological complex. From the ancient city, founded in the 3rd century BC, only ruins of Peter's rocks. Strolling through these places, you will see the masonry walls and towers, foundations, as well as a necropolis in which buried Scythian king, queen, and his entourage. You can also drive to the Scythian Naples from Sevastopol railway and bus station by shuttle bus number 101 and number 4, you need to get out at the stop "Tarabukina Street". Strolling among the ruins of the ancient Scythian capital, go to the archeological site Paleolithic times - cave-grotto Chokurcha. 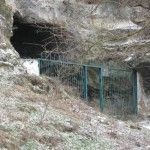 The cave is located in a river valley Salgir Lugovoi in the streets. Cave grotto was recognized as one of the oldest human dwellings in the territory not only of the Crimea, but also in Europe. Here Neanderthal skeletons were found, as well as tools made ​​of silicon, bones of mammoths, cave bears, rhinoceros, wild horses and giant deer. Here archeologists found unique petroglyphs - images mammoth fish, sun. Ten kilometers south of Simferopol and near the villages of neatly Levadki is another cave that certainly recommend a visit. 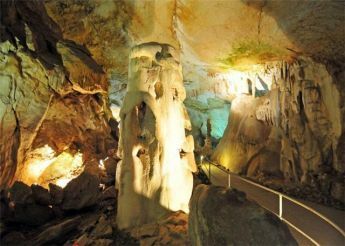 This Snake Cave, which is quite interesting and valuable monument of ancient Crimea. All tourists find it mysterious and interesting place where you should definitely visit. Simferopol - this is one of the cleanest cities in the Crimea. There are plenty of parks, gardens and squares, which hit its southern nature, evergreen trees and cozy alleys. In the Central Park of Culture and Recreation, you can relax with the whole family. Gorky Park attracts romance its blue lakes, do not miss the chance to make a boat trip! One of the most beautiful places in the Crimea is here in Simferopol. This park "Salgirka" which is located on the territory of the Tauride National University Vladimir Vernadsky. The park was laid scientists Pallas. After his death his estate became the property of the family Naryshkins, and later - the Governor-General Vorontsov. Still under General alleys were laid in the spirit of English parks. Today it planted about 1,500 species of plants, there are an arboretum and rose garden. Visit the home Vorontsov, stroll in the garden, and you will certainly feel good of this nature. Here you can walk along the river Salgir or footbridges, remembering all the beauty on camera. Simferopol city is the largest cultural and scientific center of the southern peninsula. It focused a lot of educational institutions, galleries, theaters and museums. 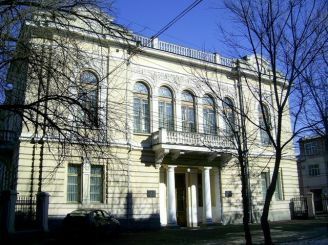 Daily work Crimean Ethnographic Museum, Central Museum of Tauris, Crimean Republican museum, Simferopol Art Museum and the Chocolate Museum. Russian Academic Russian Drama Theatre. Maxim Gorky, in fact, is a theater complex, consisting of seven scenic sites, and very majestic theater building was built in 1911 in the neoclassical style. Theatre gives grand views, and a courtyard often hosts open-air concerts. 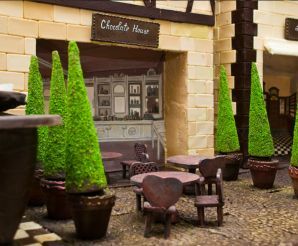 Theatre can be found on the main pedestrian street of Pushkin, which is easily reached by taxi № 4, № 114 and № 40. Simferopol - Crimea is the gate that meet all of their guests. Being on holiday and hurrying to the beaches of the Black Sea, spend one day in Simferopol and you will not regret!